Facing charges of sexual assault and sexual interference, United Conservative Party MLA Don MacIntyre resigned from his party’s caucus on Feb. 2 and then from the Legislative Assembly on Feb. 5. A by-election in Innisfail-Sylvan Lake will be called within the next six months, allowing voters in this rural central Alberta district to choose a new MLA. Devin Dreeshen, the son of Red Deer-Mountain View Conservative MP Earl Dreeshen, is seeking the UCP nomination. Dreeshen is a director with the Western Canadian Wheat Growers Association and worked as an advisor to former federal Agriculture Minister Gerry Ritz from 2009 to 2015. According to rdnewsNow.com, Dreeshen is being endorsed by former Progressive Conservative MLA and cabinet minister Luke Ouellette, who represented the district from 2001 to 2012. The elder Dreeshen’s federal district includes most of the Innisfail-Sylvan Lake provincial district (excluding the town of Sylvan Lake, which is located in the Red Deer-Lacombe federal district). He has represented the district since 2008. The junior Dreeshen is not the first relative of a federal politician to recently attempt a jump into provincial politics. In 2016, Robin Martin, son-in-law of Calgary-Forest Lawn Conservative MP Deepak Obhrai, ran for the Wildrose nomination ahead of the Calgary-Greenway by-election. Penhold town councillor Mike Walsh was already planning to challenge MacIntyre for the UCP nomination ahead of the next provincial election. He is now running for UCP nomination to stand in the by-election. Reform Party of Alberta leader Randy Thorsteinson has also declared his intentions to run under his party’s banner in the by-election. Thorsteinson ran in Innisfail-Sylvan Lake as leader of the Alberta Alliance in the 2004 election. Cindy Ross is seeking the United Conservative Party nomination in Calgary-Fish Creek. Ross is a math teacher with the Calgary Catholic School District. She will likely be challenging incumbent UCP MLA Richard Gotfried, who was first elected as a PC candidate in 2015. John Volponi is seeking the UCP nomination. Volponi is the general manager of ‎West Air CCM. The district is currently represented by cabinet minister and New Democratic Party MLA Stephanie McLean, who has announced her plans to seek re-election in 2019. This district was represented by Liberal MLA Harry Chase from 2004 to 2012. 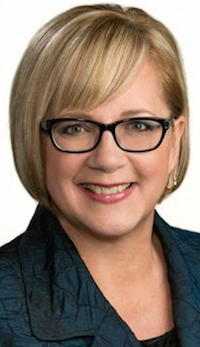 Former PC MLA Janice Sarich is seeking the UCP nomination in this north Edmonton district which she represented from 2008 until she was defeated by New Democrat Chris Neilsen in 2015. 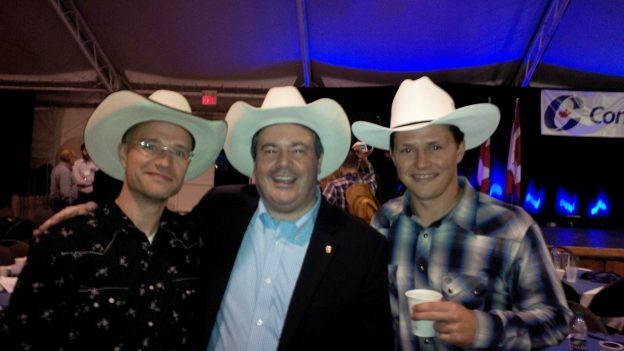 Sarich briefly considered running for the federal Conservative nomination in Edmonton-Griesbach until Jan. 2014. This district is named after former Edmonton mayor and Liberal Party leader Laurence Decore. 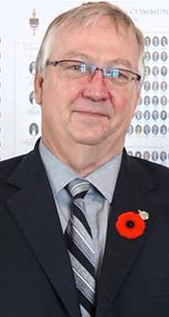 He represented the district under its former name, Edmonton-Glengarry, from 1989 to 1997. 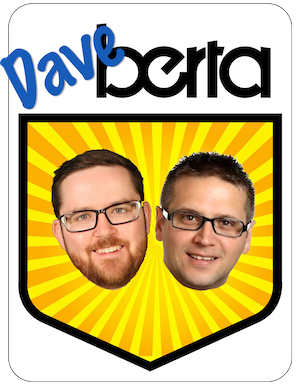 This entry was posted in Alberta Politics and tagged Alberta Liberal Party, Alberta NDP, Calgary-Fish Creek, Calgary-Varsity, Candidate nominations, Chris Nielsen, Cindy Ross, Deepak Obhrai, Devin Dreeshen, Don MacIntyre, Earl Dreeshen, Edmonton-Decore, Edmonton-Griesbach, Innisfail-Sylvan Lake, Innisfail-Sylvan Lake by-election, Janice Sarich, Jason Kenney, John Volponi, Laurence Decore, Luke Ouellette, Mike Walsh, Randy Thorsteinson, Red Deer-Lacombe, Red Deer-Mountain View, Reform Party of Alberta, Richard Gotfried, Robin Martin, Stephanie McLean, United Conservative Party, Western Canadian Wheat Growers Association on February 14, 2018 by Dave Cournoyer.